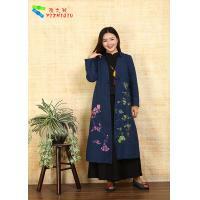 Autumn winter ethical wind is embroider will be mainstream,go up in detail and color this one coat will the grace of the female,atmosphere collocation is fashionable cut appears come out. 1.Long sleeves are designed to make you feel warmer during the mild winter. 2.Chinese style disc buckle design,concise and easy. 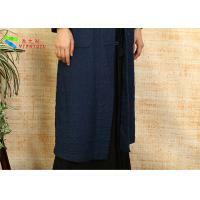 3.Made of 100% cotton,it is warmer and more comfortable to wear. Q1: Are you a Manufacture factory? Yes, we are the direct Manufacture factory, located in CHONGQING, China. 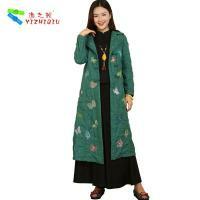 We are specialized in Chinese style women clothing. 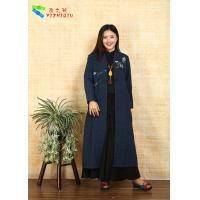 Ladies cotton clothing, Cotton summer clothing, Cotton winter clothing, including dresses, skirts, blouse, pants, coats,scarves and fashion accessories. Q3: What’s your minimum order quantity? 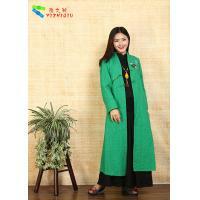 If ready-made clothing, at least 50 pieces each design each color, sizes can be mixed. If you want to customized your own designs, at least 100 pieces each design each color. Q4:Can I get a sample before mass production? Yes, of course, you can see our sample policy. Q5: Do you accept Customized size or custom printing? Yes, if you want to custom your own design, please send you specific requirements such as design drafts, size, color, fabric details to our email sales03@huapugai.com. We will get in touch with you in 24 hours. Q6: What is your payment terms? Q7:Do you provide free sample? Yes, but We will not pay for the shipping fee. Q8:How much does international shipping cost? International shipping is calculated based on a number of factors including the desired shipping speed, the number of items you are purchasing, the weight of the items and the destination country. Chongqing Colorful Clothing E-commerce Co., Ltd.(CCEC) was established in 2016. 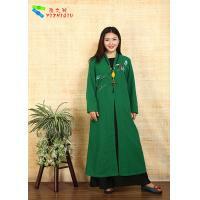 It is the largest Chinese-style clothing supplier in Southwest China. Located at Chongqing Chao TianMen marketplace, it enjoys convenient water, land and air transportation. CCEC has a professional sales team, through the efforts of its entire staff, it has become a professional reliable and client-oriented manufacture integrating design, development and selling together. 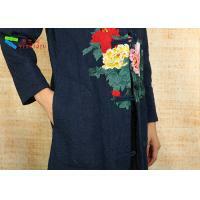 Its main products include Women Dresses, Blouses, Skirts, Quilted Coats and fashion accessories. It aims to provide an extensive range of high quality, trendy fashion Chinese clothing to its valued customers. 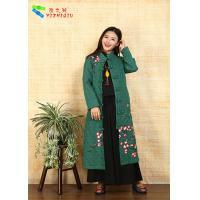 It regards itself not only a supplier but also an inheritor and innovator of Traditional Chinese clothing. 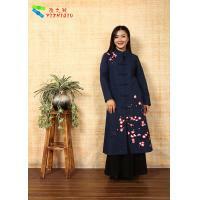 Most of their products are featured with Chinese elements, such as Qipao, Chinese ink painting, pattern of Blue-white porcelain, embroidery etc. 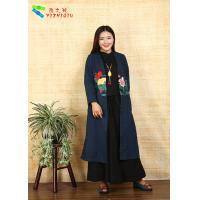 For its modern design, beautiful colors, wide varieties, and superior quality, its original brand YIZHIQIU has won warm praise from customers. Also, it provides ODM, OEM and customized service. With domestic and abroad two markets, CCEC has operated over 50 franchises all over the country in the past several years, and it is currently exporting 10% of their products worldwide. 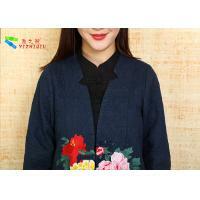 If you are interested in Chinese clothing or would like to discuss a custom order, just feel free to contact them. They are ready to establish win-win business relationships with new clients around the world in the near future.